As the ferry from Oban steams into Craignure on the Isle of Mull, the harled white washed walls of the little church of Torosay and Kinlochspelve can be seen, standing proud on the green to the south of Craignure. 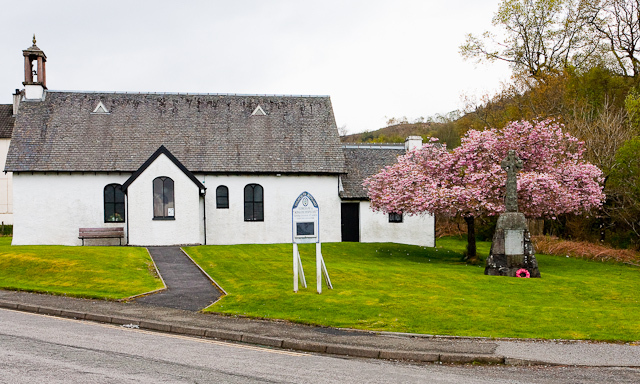 The plain oblong grade B listed building with its slated roof, small belfry, segmental-arched windows and plain interior supports the parish of Torosay and Kinlochspelve. The area includes Lochbuie, Croggan, Kinlochspelve and Lochdon. Built in 1783, His Grace the Duke of Argyll as Patron, the church has been restored many times, including the year 1828 when it was struck by lightening. The church has seen several additions to the building including the entrance porch built in 1967, to protect the congregation from the driving rains as they entered the church. The Kitchen extension was added in 1982. A striking feature found to the rear of the church is a pair of external staircases built on the south wall. They lead up to doors giving access to the galleries at the east and west end of the church. They were known as the lairdsí galleries and were possibly built to appease the lairds of the time who could not decide which of their families should face the minister as he preached from the pulpit. 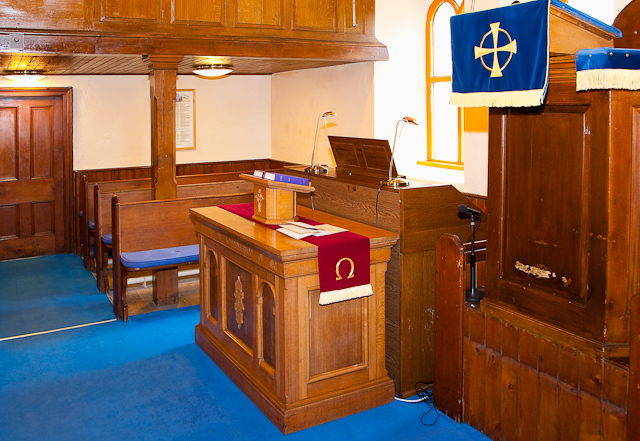 The Presbyterian preaching box is situated on the north wall of the church. It is thought that the decoration of the church was kept to a minimum to prevent the congregation from becoming distracted as they listened to the Word of God. 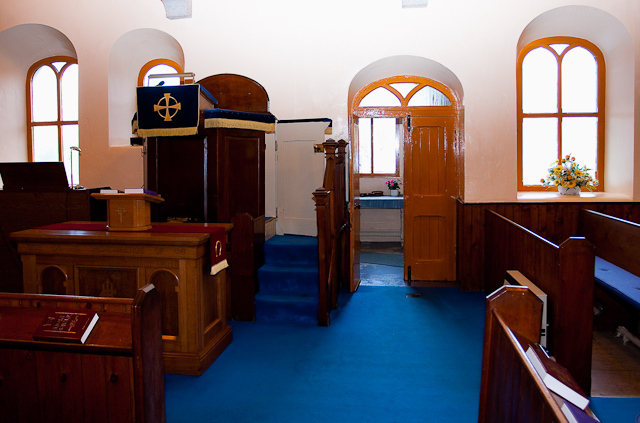 The downstairs stalls face into the church from the east and west end of the church, also with their backs to the south wall the stalls face inwards, towards the pulpit in the centre of the church on the north wall. It is thought that church, as well as holding sevices, was possibly used as a court room in days gone by. 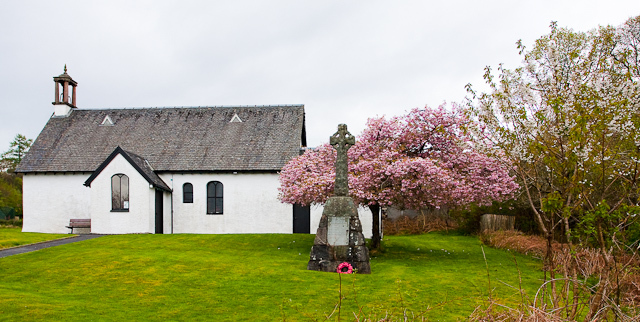 Torosay church has a long history and much has been written of its history and the people who attended the services. In 1982 Torosay church was donated a fine organ. On the green outside the church, a war Memorial was erected to the men of the parish who perished during the Great World War 1914-1918. Wreaths are laid on Remembrance Day to honour those men and women who gave their lives for their country. The small but diligent congregation meet on Sundays at 12 noon. Numbers increase during the holiday season as visitors to the Island come to join the congregation in the worship of Our Lord. The church supports Sunday school most weeks. 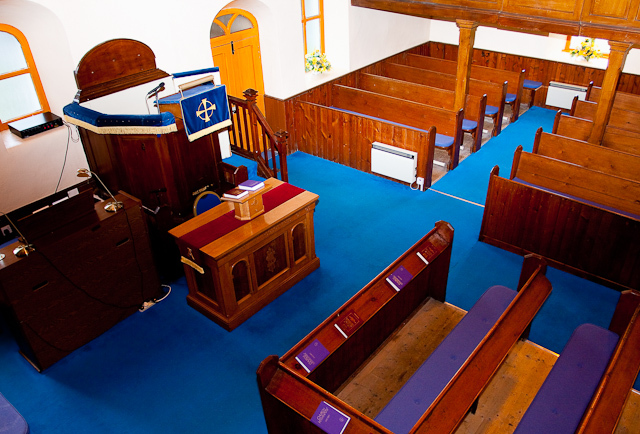 The congregation look forward to welcoming everyone, from all denominations, to their church in Craignure. A number of services are held throughout the year to mark special occasions in the churches calendar. The dates and times of these can be found in the Diary Page of this web site. Baptisms, weddings and funerals are held in the church. Thanks for dropping by! You can stay updated by subscribing to the North Mull Parishes RSS feed.